It seems that several tiny adventures, spaced through the year, seem to work out better for me than trying to plan and execute something major. If I can figure a plan to make it work with one of my wife’s activities, all the better. 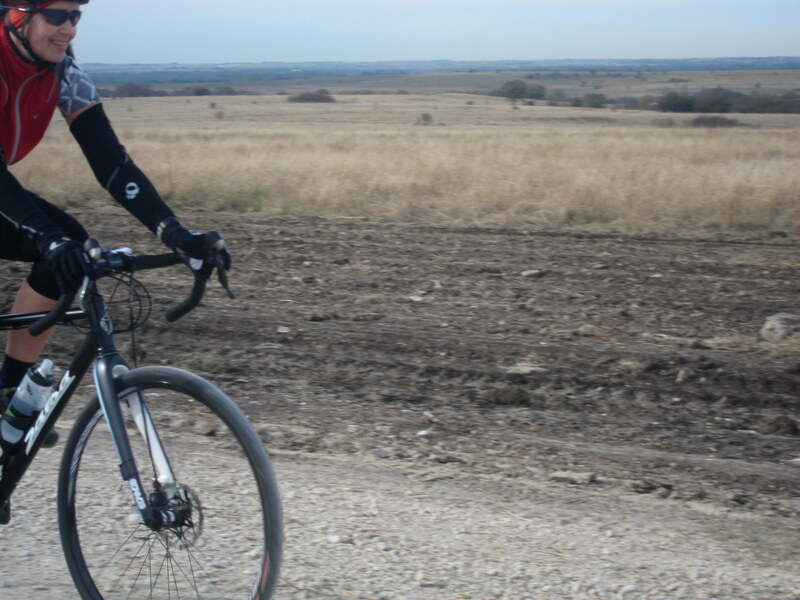 If the roads dry out in time, I’m hoping to spend two days riding gravel/dirt backroads from my house up to Wichita Falls, Texas. 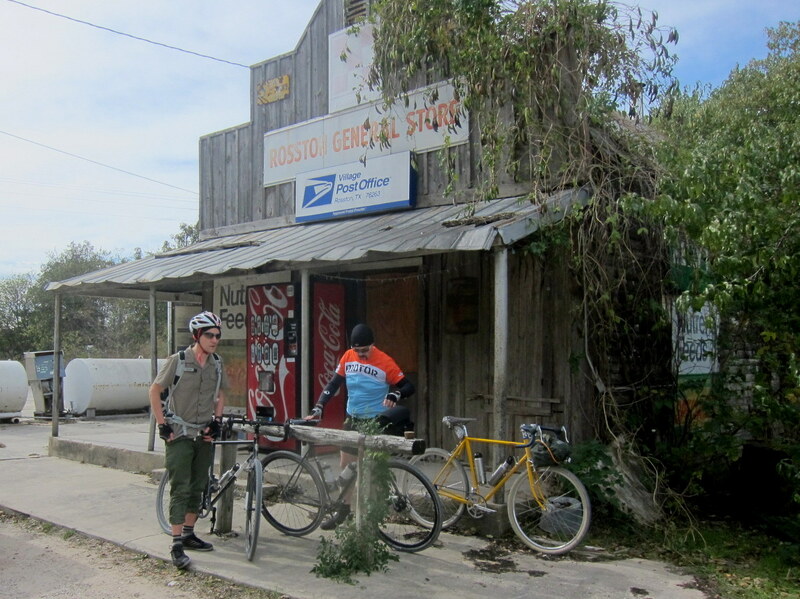 The plan is to ride the first day to Bowie, Texas and spend one night in a cheap, but decent, hotel next to a fantastic cafe. Then ride up to Wichita Falls the second day and meet-up with my wife (and some of her dogs) who is driving up for a dog agility trial competition. Hopefully, I’ll get there in time to watch her dogs run. Either way, she’ll bring me and my bike back (and the dogs) home in her vehicle. Assuming the weather will cooperate with me, I just installed my front low-rider rack. So I have (more than) plenty of capacity for my necessities and few luxuries for two days. 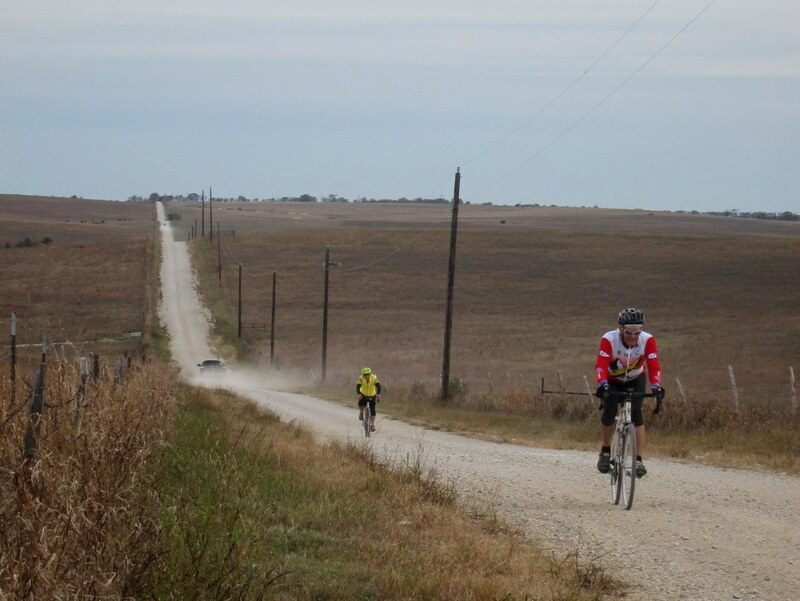 Roughly, 120 miles of rugged and remote roads, with a warm shower and bed in the middle. Now, this weekend’s rain must END, and the roads must DRY quickly. If not, I plan something else. It wasn’t as negative, or as epic, as the title might suggest. In fact, it was a good outing overall. The “trials” part of the title refers to the part of the morning I spent with Mrs. Pondero, and her dogs, at an agility trial class. They compete in a sport called dog agility, and that takes lots of training, conditioning, and practice. Today I was able to watch them prepare. My wife and her dogs are impressive. The communication and teamwork demonstrate a bond that is physically exciting and emotionally heartwarming. Her veteran’s name is Ferris Bueller, and his name couldn’t be more fitting. He’s a goof-ball and a show-off. Her up-and-coming’s name is Oliver. He’s up for anything outside. Even running, climbing, jumping, and weaving. I think he might make a great camping companion. Neither of these dogs were bred for this. They are both rescue dogs, and they perform brilliantly because Mrs. Pondero is a genius who forms a special bond with them. The “misadventures” part of the title refers to what happened at the end of class. 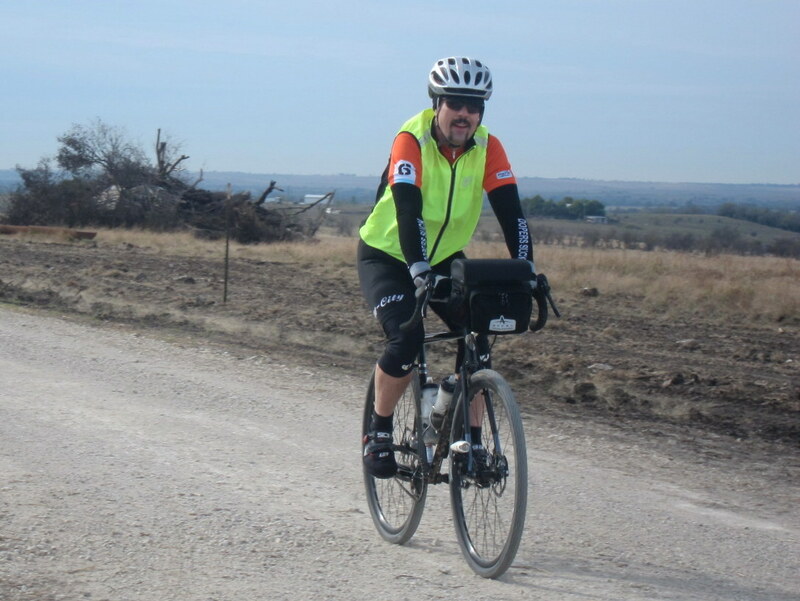 I left on the bicycle to ride a 30+ mile route back home. The objective was to learn how to use my new Garmin 200 navigation toy. I learned on my Bowie tour back in August that many of the roads I want to use for touring do not have road signs. So I’m learning how to use a new device to reduce future navigation failures. Today’s lesson included several “what-not-to-do” topics. There were a few frustrations, misunderstandings, and misadventures. Fortunately, however, by the time I arrived home, I think I got it figured out. So bring on those open roads with no traffic, no mileage markers, and no road signs. 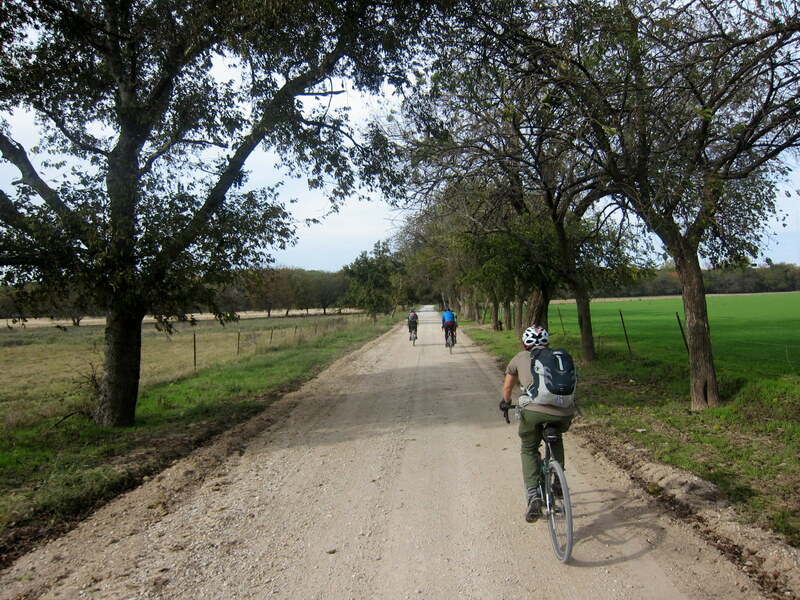 Bring on miles and miles of rural Texas roads. The Coffeenuering Challenge for this year includes a theme option. I chose something simple, but something that has meaning for me. 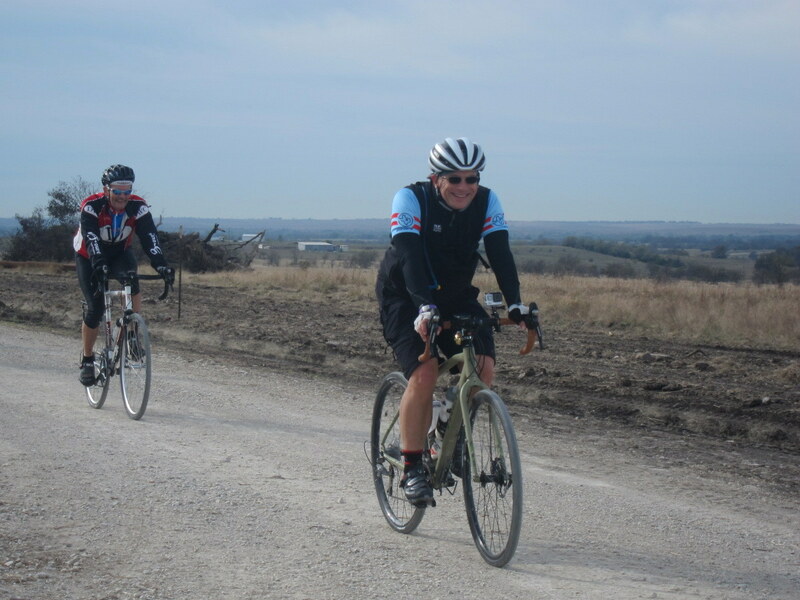 It was several years ago when I first heard about Brad’s “Association of Caffeinated Wheelmen”. That was the first time I ever heard of someone combining bicycles and coffee as a “thing” in the way I thought of it. I was an early adopter of his pins, and have been supporting the Association ever since. 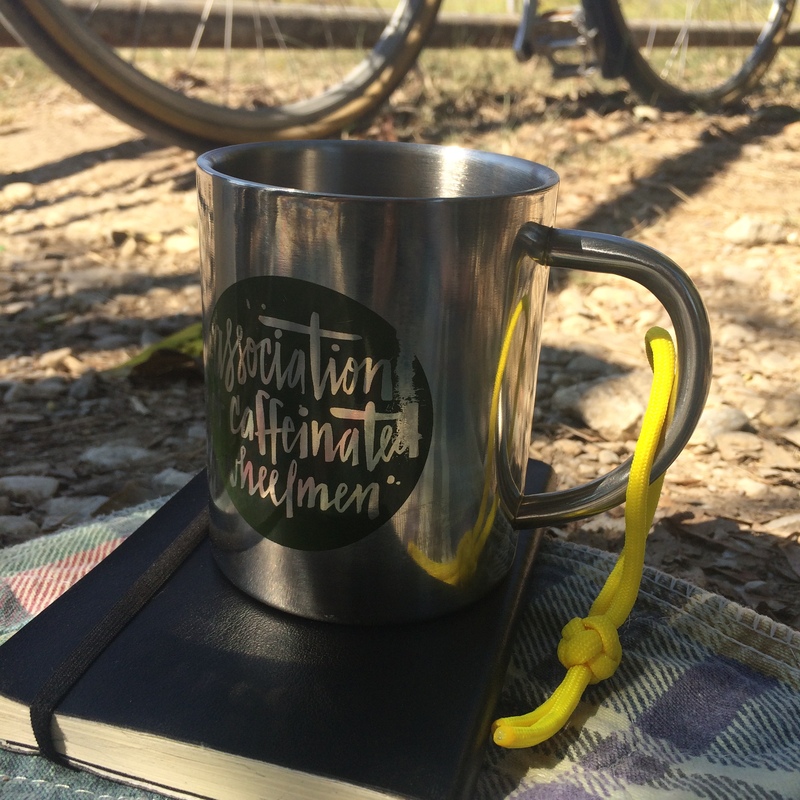 So as a sort of tribute to Brad’s creativity, I decided to use my most recent Association of Caffeinated Wheelmen mug for each coffeeneuring control this year. Its the “same mug each time” theme. 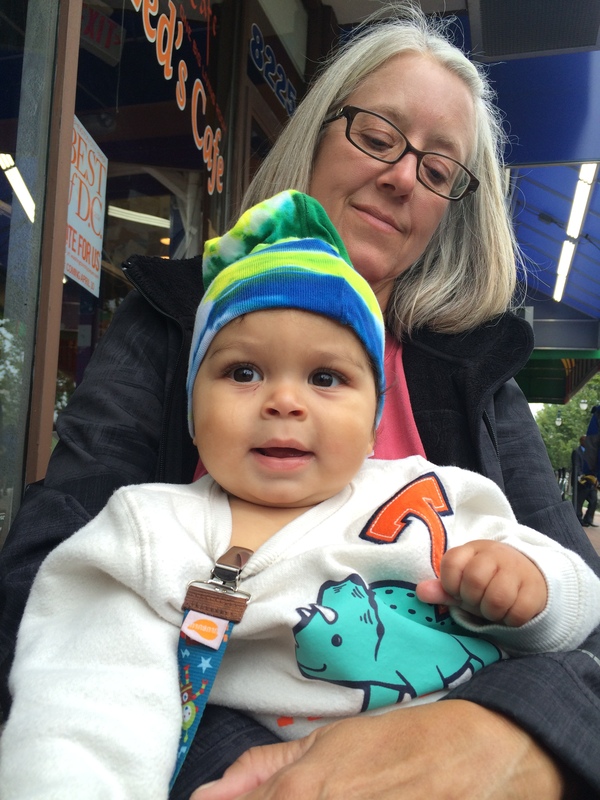 Fortunate to kick-off this season’s challenge with my new GRANDSON! Description: I was joined by Mrs. Pondero, my daughter, son-in-law, and new GRANDSON at Zed’s Cafe in Silver Spring, MD. 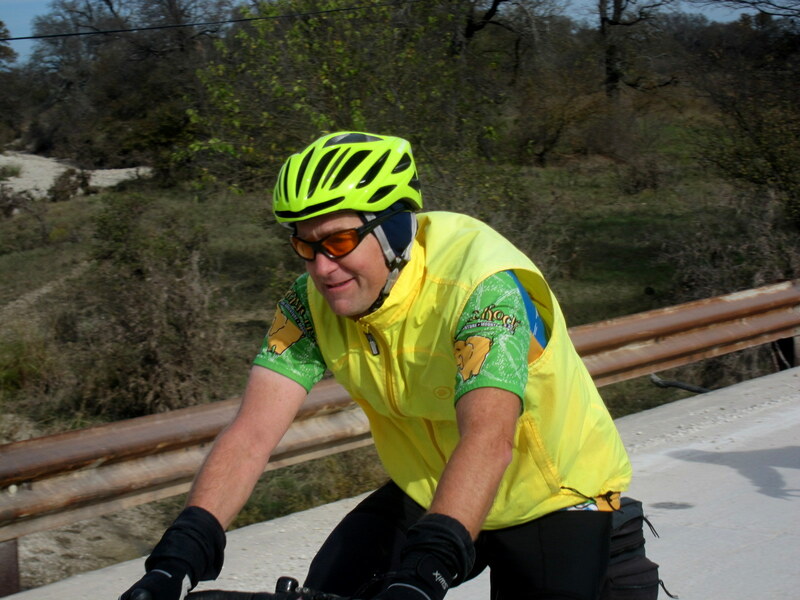 This was two days before the start of the C&O Canal Towpath Tour. There was (apparently) one guy working and the place was packed. We had a couple of mix-ups of orders and payment. Maybe it was a tough, under-staffed day, but a little frustrating for our group that day. My espresso was delicious. 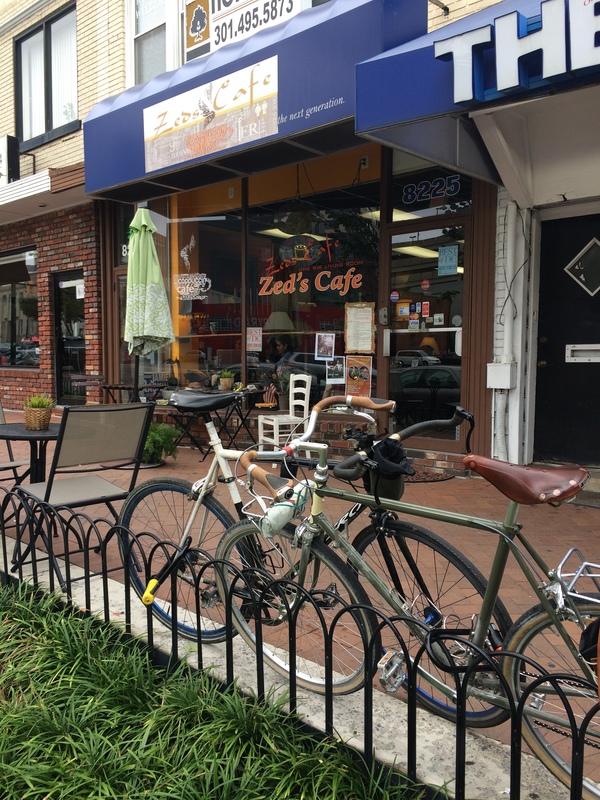 Bike friendliness was not ideal without bike racks, but the decorative fencing allowed a lock up, and there were tables and chairs outside, so it all worked out in the end. Description: I was sitting and sweating in the shade on a gravel roadside, waiting for my coffee to cool a bit. It was quiet because not a single person came by. Restoring order from my recent trip to Maryland, I didn’t have a lot of time. I brought a thermos of coffee brewed beforehand at home. 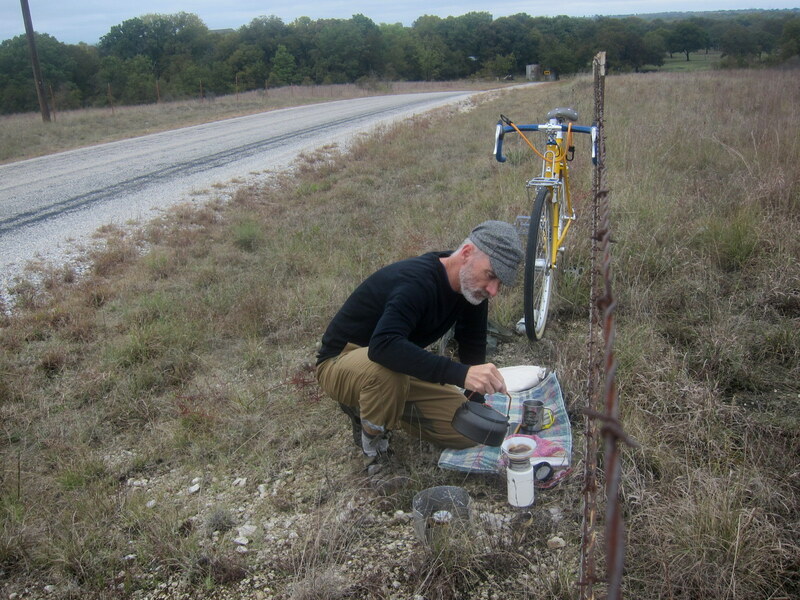 There was a steel ranch gate located conveniently in the bend of the road to lean my bike against. So I’m calling this quite bicycle friendly. I sipped my wonderful coffee, and pondered how different things were this week as compared to last. Description: Even though I just returned from a four-day tour, Mrs. Pondero recognized that this is THE time of year for me to get out. 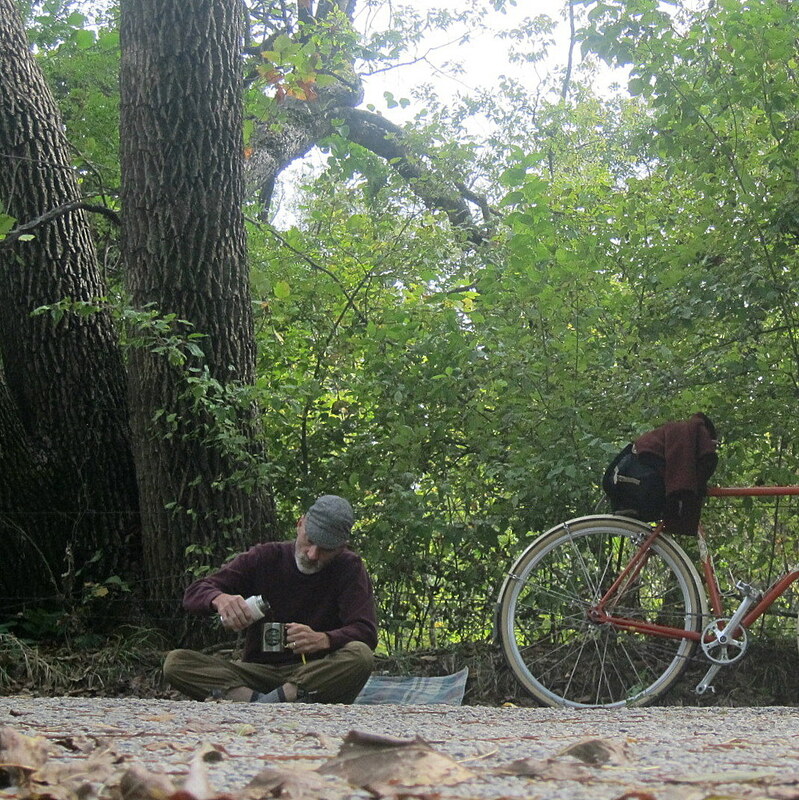 So she released me to the woods for a coffeeneuring overnighter. 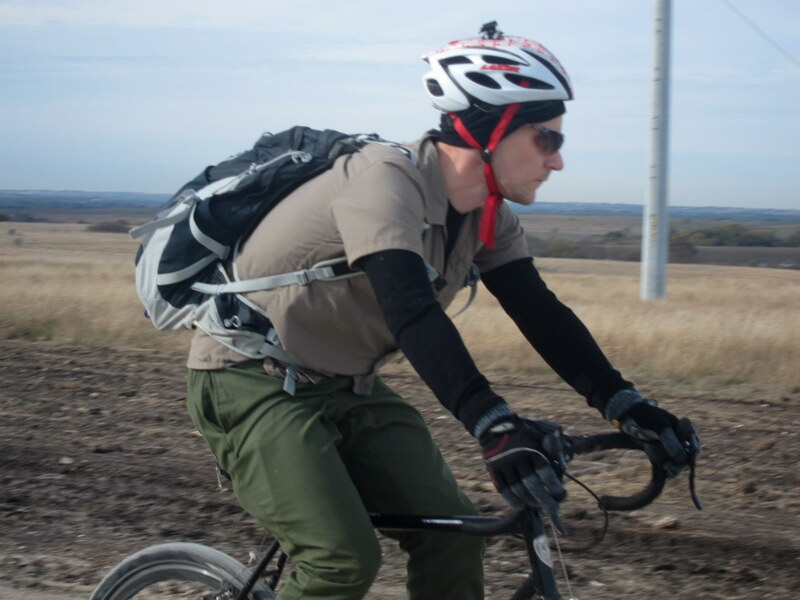 Pushing a bike through the brush isn’t what must folks might call bike friendly, but I certainly had no worries about it disappearing. Overall, let’s call it bike friendly. This event was split into two parts. 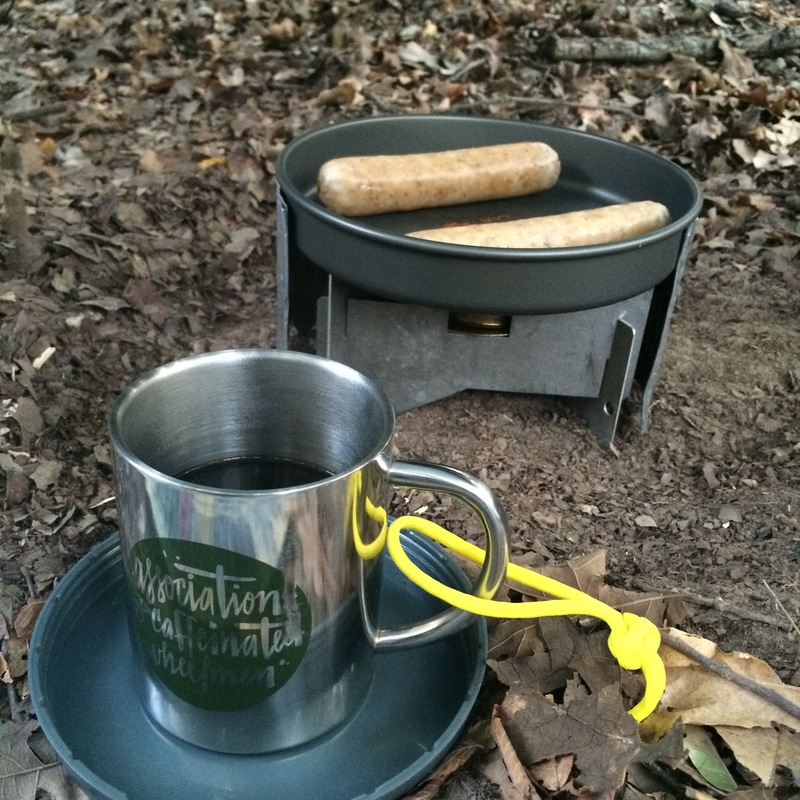 My first cup was with breakfast at the campsite. After packing up to head back home, I stopped again on the lakeshore for another round. Double round coffeenering brings double the joy. Description: If it weren’t for the Challenge, I might not have gone. 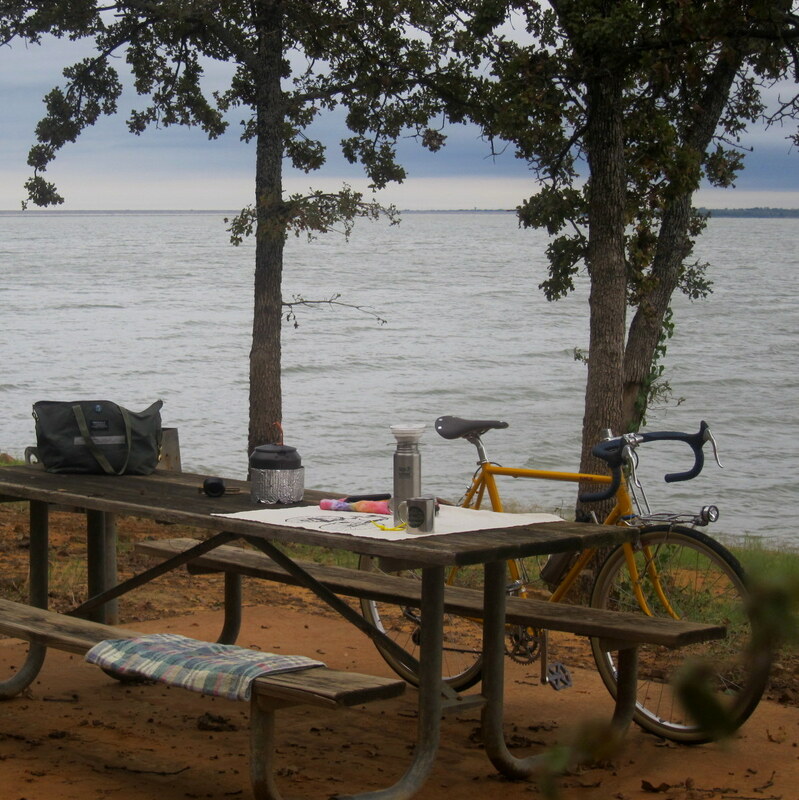 But I was challenged to carve out some time to say, “No, I must go ride my bike and drink coffee”. 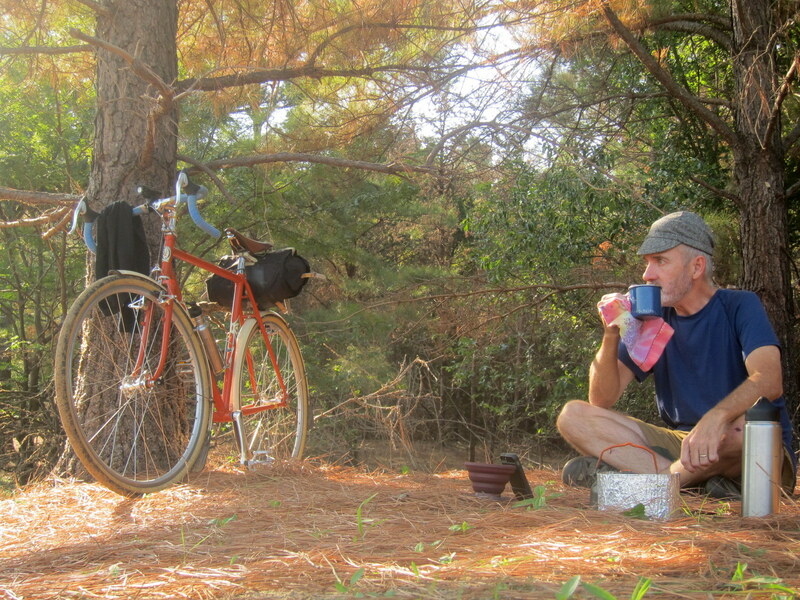 I found a roadside spot for a brew-up and no vehicles went by. So it was quiet except for the leaving moving and falling. With roads this empty, it seemed like it was intended only for bicycles. Bike friendly indeed. Fortunately the challenge gave me a special gift today. 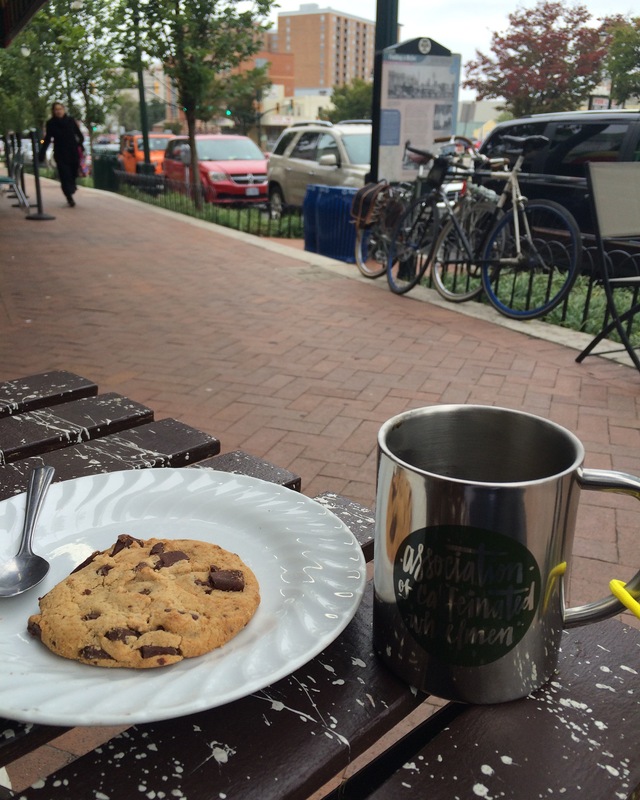 Description: It was “new bike day” for me, and extra fun to celebrate with a coffeeneuring micro-adventure. The air was again damp and cool and so refreshing. My load was carried exclusively on the front rack on this “low trail” geometry ride. The OAC Hobo Rouleur coffee is a little lighter roast than I usually buy, but I quite enjoyed the difference. 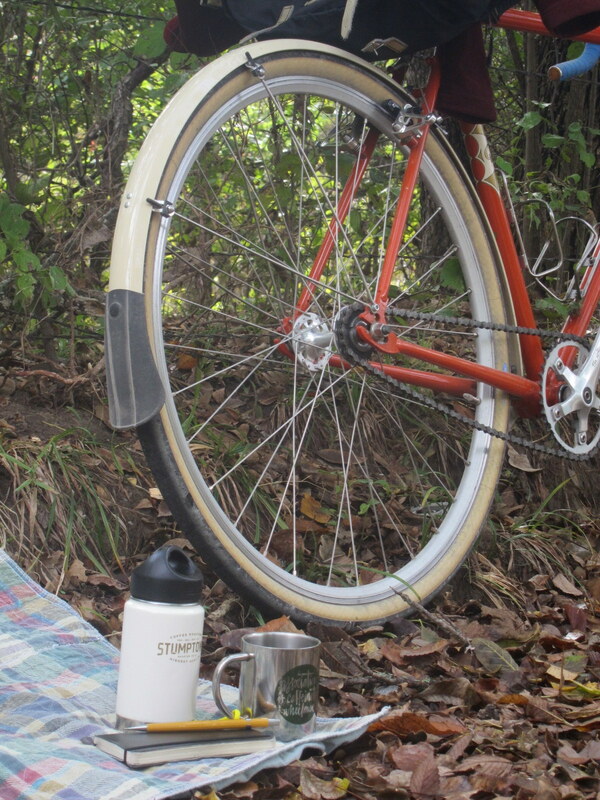 New season, new bike, and new coffee. 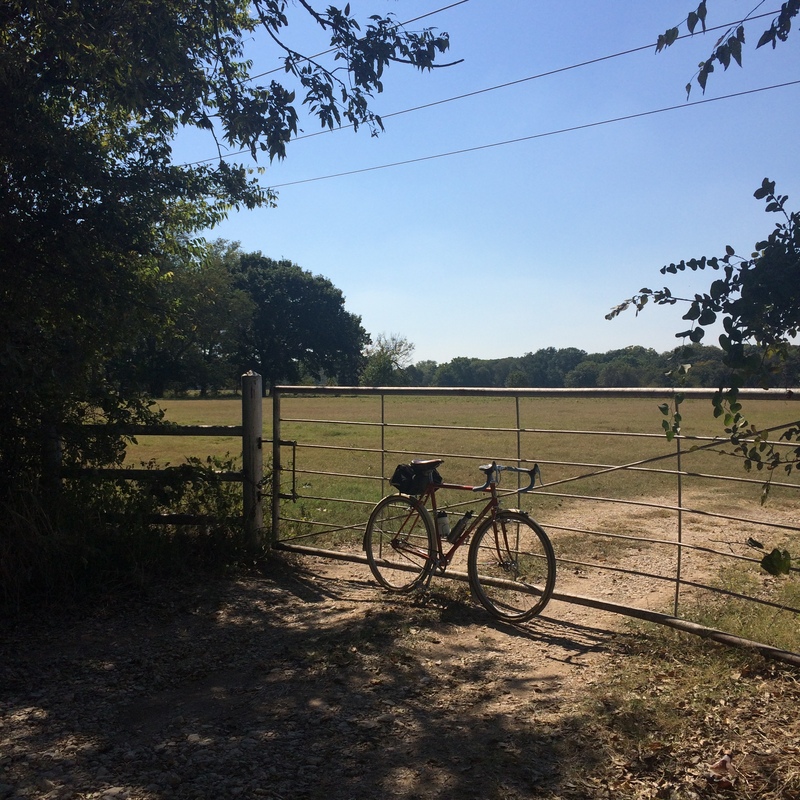 No traffic, and a handy barbed wire fence, means bike friendliness. 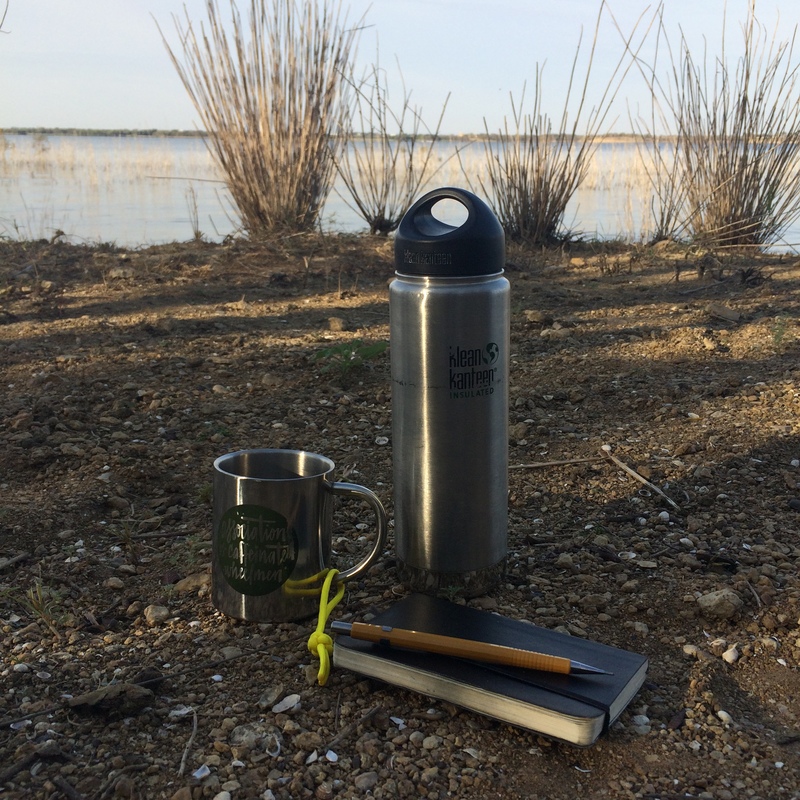 Description: This outing was the first time of the season that I was able to enjoy the full effect of good fresh coffee. I always enjoy the flavor and aroma, but today it was cool enough outside for the hot coffee to warm me from the inside and mitigate the windy, wet outdoor chill. Waves slapped the shoreline and textured, multi-shades of grey clouds floated by on the wind, just distinguishable against the multi-shades of grey churning water. It was delightful. Where was everyone? 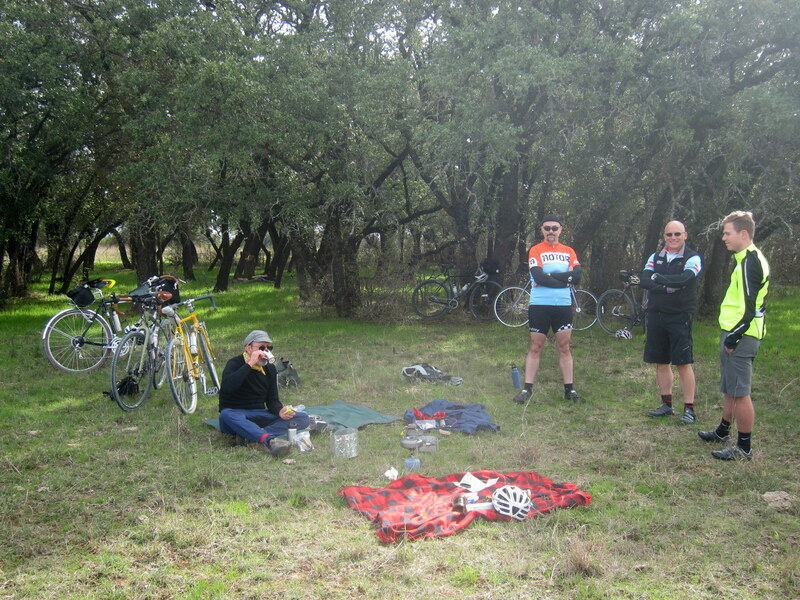 With picnic tables in convenient places, it was an absolutely bike friendly spot. 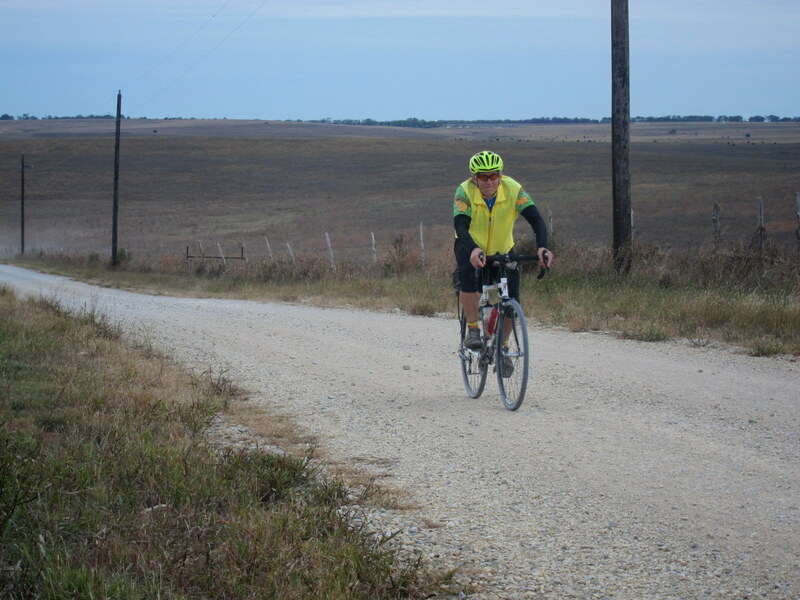 Description: Like last year, I finished of the Coffeeneuring Challenge with several friends Rambling in rural north central Texas. Some guys joined in the coffee brew-up activities, and some watched in fascination. We shared homemade scones, crackers, and chocolate. We swapped stories, and beamed in our good fortune. We set-up our blankets behind a natural tree grove wind block. We had a ridgetop vista of rolling ranch land, and it couldn’t have been more perfect. 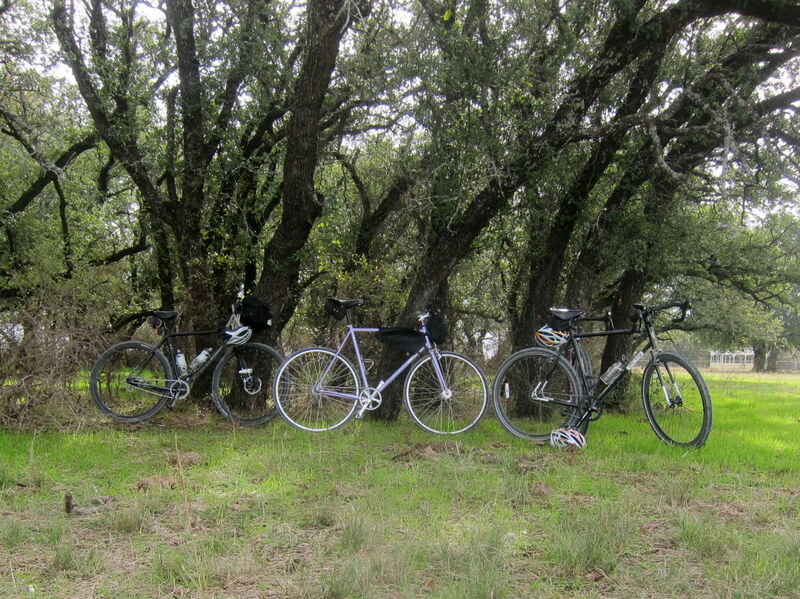 Plenty of space to keep our bikes in sight, but it certainly wasn’t necessary. Bike friendly? Absolutely. 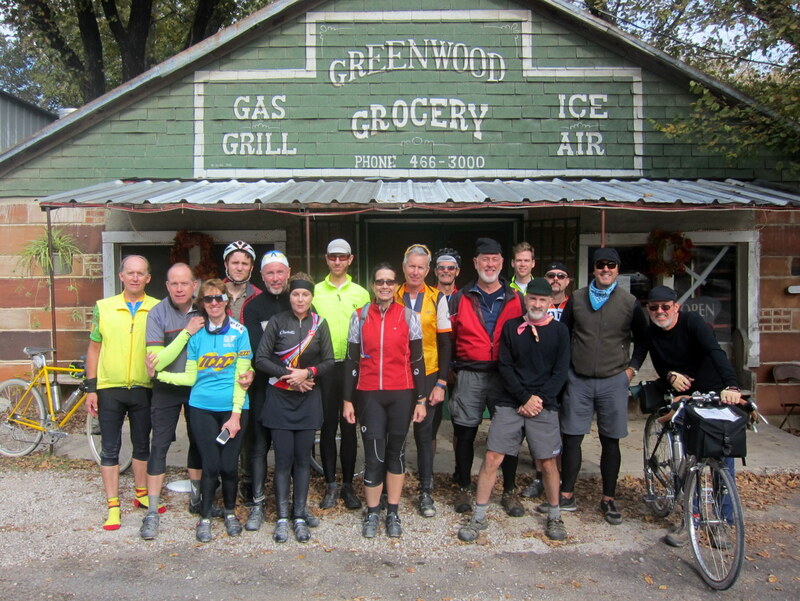 What is it that makes our little Annual Fall Finale 50-ish Mile Country Path Ramble what it is? There are many ingredients. The Ramble includes a fire pit in the gathering spot to warm your hands on a chilly morning. It includes warm Texas breakfast tacos and homemade scones. 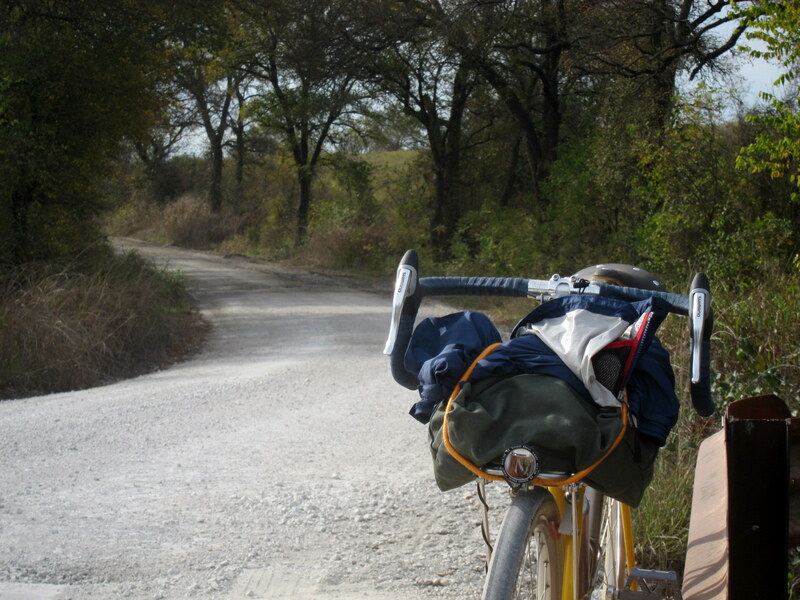 There’s a good dose of wandering around to see how many ways folks can set-up a bicycle to ride all day on gravel roads. There are warm handshakes as folks catch up with friends they see often and others they haven’t seen since last year. And that’s before we even start rolling. 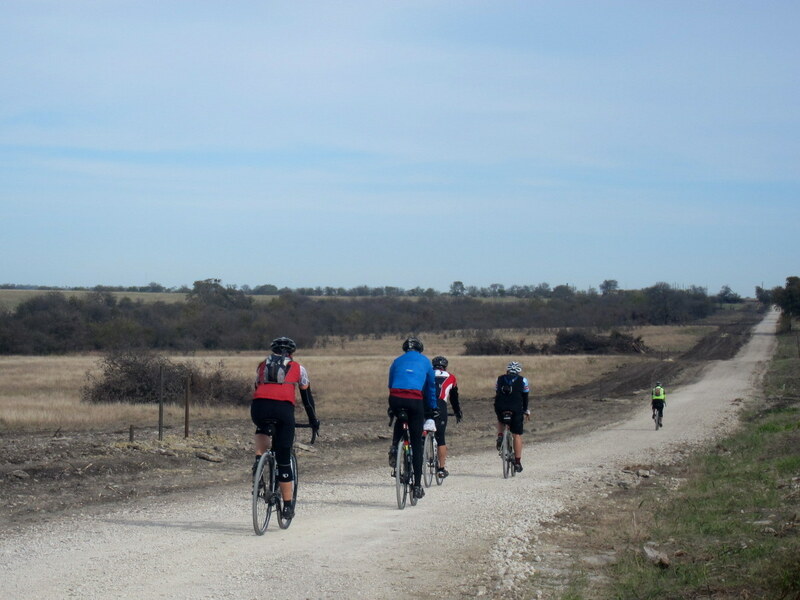 The Ramble includes route options from 35 to 50+ miles. 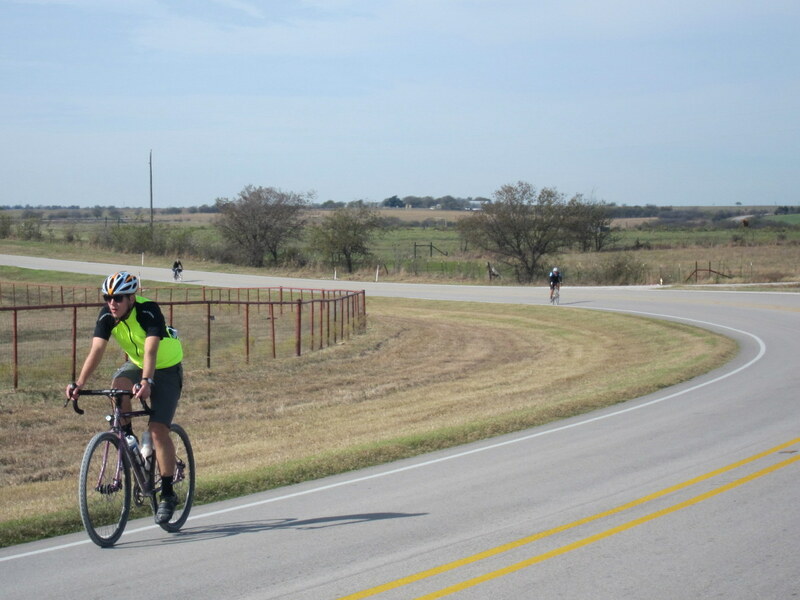 Most ride the standard 50-ish mile loop that includes stops in tiny old Texas villages of Rosston and Greenwood, but some take short cuts or add a few miles to make the day just right for them. 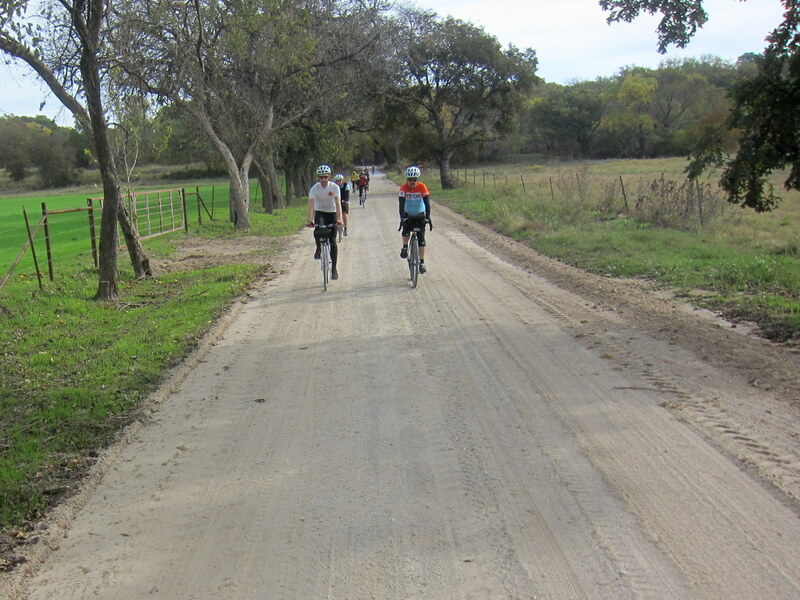 All routes are mostly gravel in all its possible variety. There are washed-out and rutty areas, stretches that are smooth and fast, and spots that have been “maintained” recently that are full of large, chunky, uncompacted, and unstable rocks to give that dancing on marbles feeling. This year we even had a patch of deeper-than-normal sand. The Ramble includes wide open, treeless areas and roads winding through tree-tunnels along dry, or barely wet creek beds. 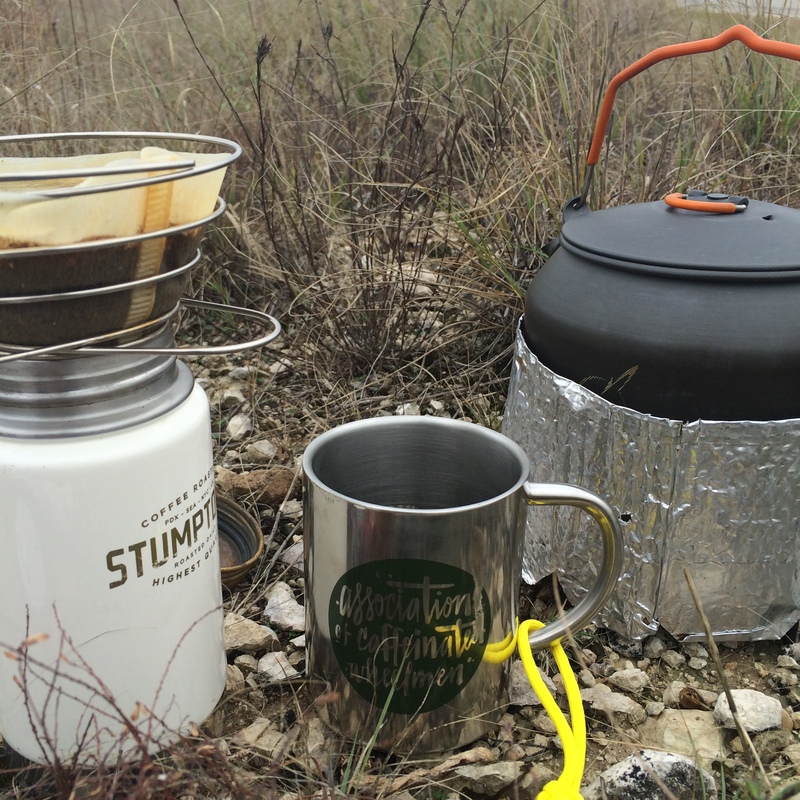 There are old historic cemeteries and wonderful patches of ground…just right for a coffee brew-up. 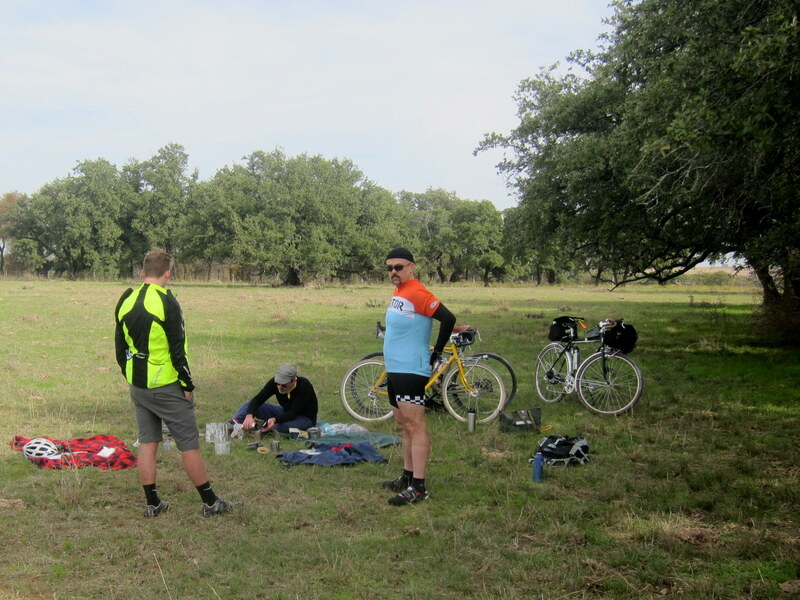 We have all day to cover only 50 miles, so we can pause for a luxurious moment of snacks and conversation. But what is that key ingredient? To use a medicine analogy (after all this seems like good medicine to me), what is the “active ingredient”? As I understand it, the “active ingredient” is the ingredient in a pharmaceutical drug that is biologically active. It’s the thing that does the job. Excipients, on the other hand, are those natural or synthetic substances formulated along side the active ingredient to help make it a little easier to use. 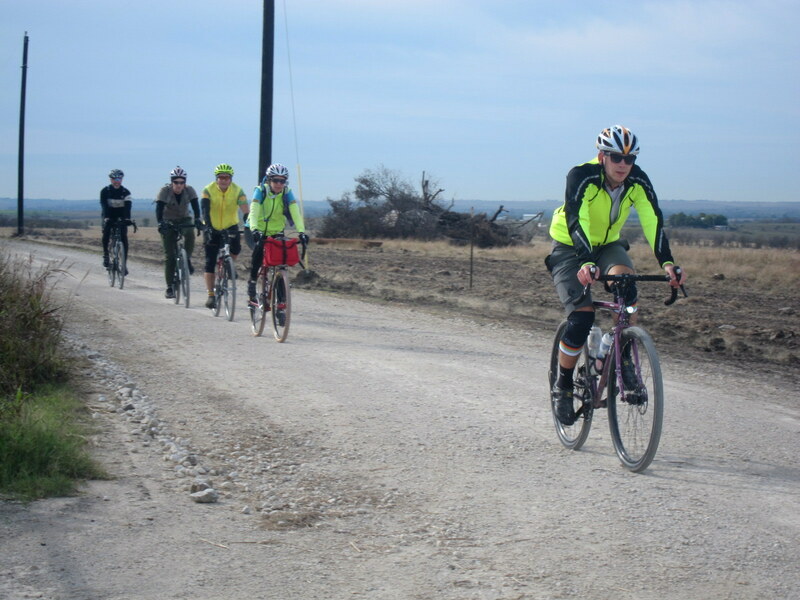 Gravel roads, fire pits, and old villages and cemeteries are not active ingredients; excipients maybe? The active ingredient for the Annual Fall Finale 50-ish Mile Country Path Ramble is the magic that only my friends bring when they arrive at my house each year. Thank you, friends! What an honor and blessing to have you visit! 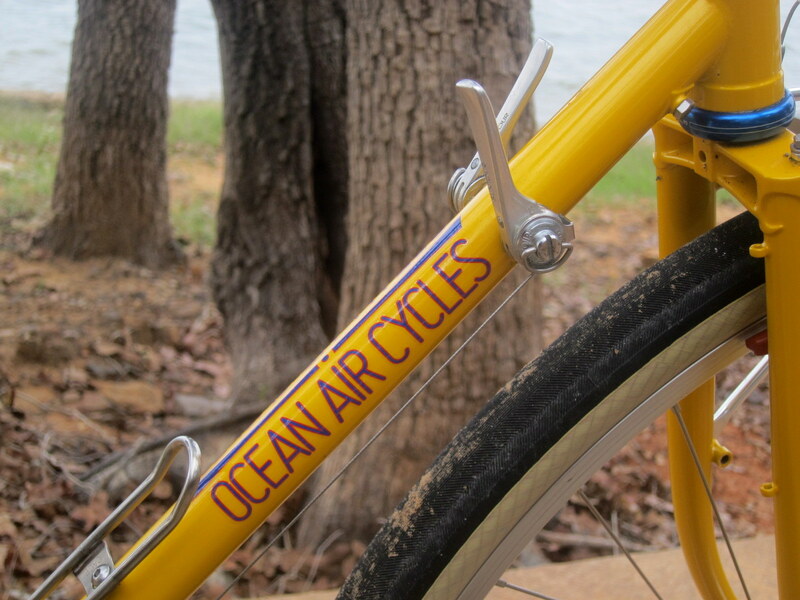 Upon learning that I purchased a new Ocean Air Cycles Rambler, several of my friends requested that I report on my impressions. This post is more in response to that than any attempt at an in-depth Bicycle Quarterly type extended road test. I’ve only had the bike rolling for a short time, but it is sufficiently different from my other bikes that it makes very clear impressions. 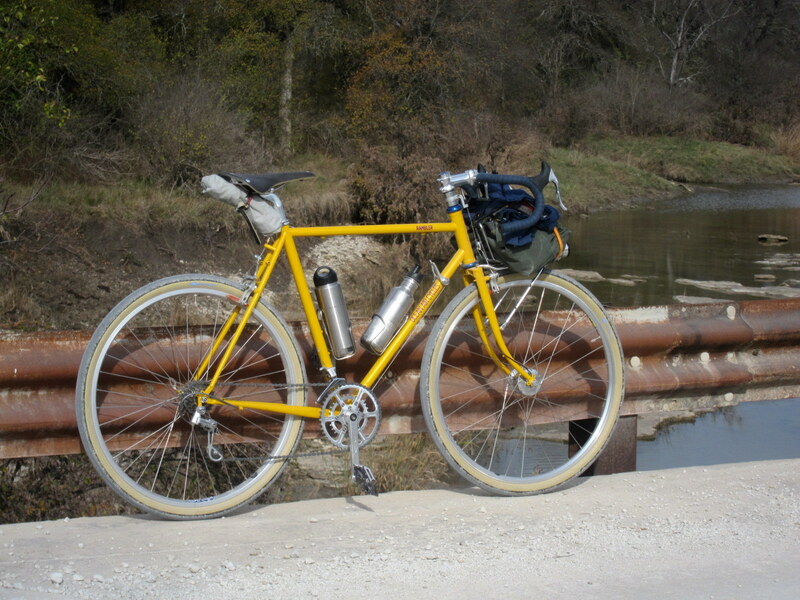 Immediately prior to acquiring the Rambler, I owned three Rivendell bicycles (A. Homer Hilsen, Quickbeam, and Atlantis). I sold the Atlantis to help fund this project. The point is that my impressions are from the perspective of one who has owned and enjoyed Rivendell bicycles for several years. 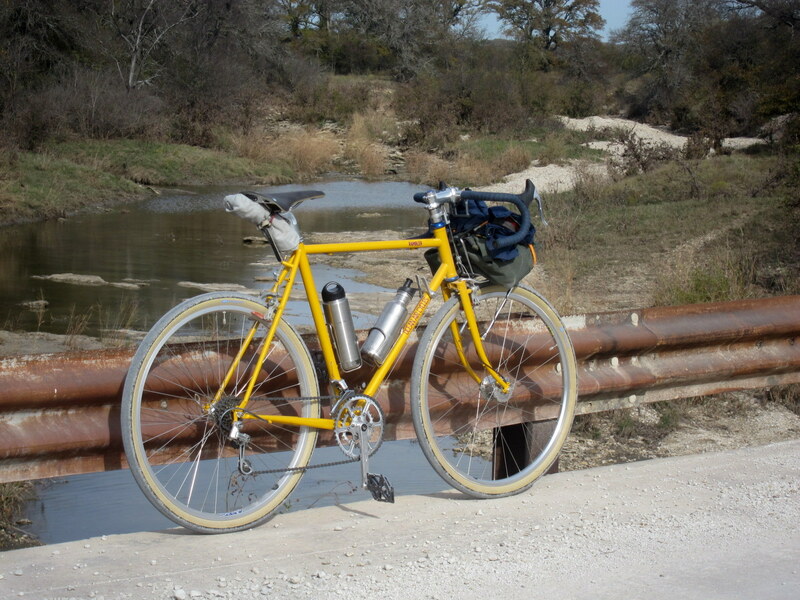 This bike still rides like a bicycle, but it is really quite different, especially considering how I’ve built it up. The frameset has (I think, but don’t know for sure) thinner walled, lighter, and (for sure) smaller diameter tubing. That makes for a more flexible frame. 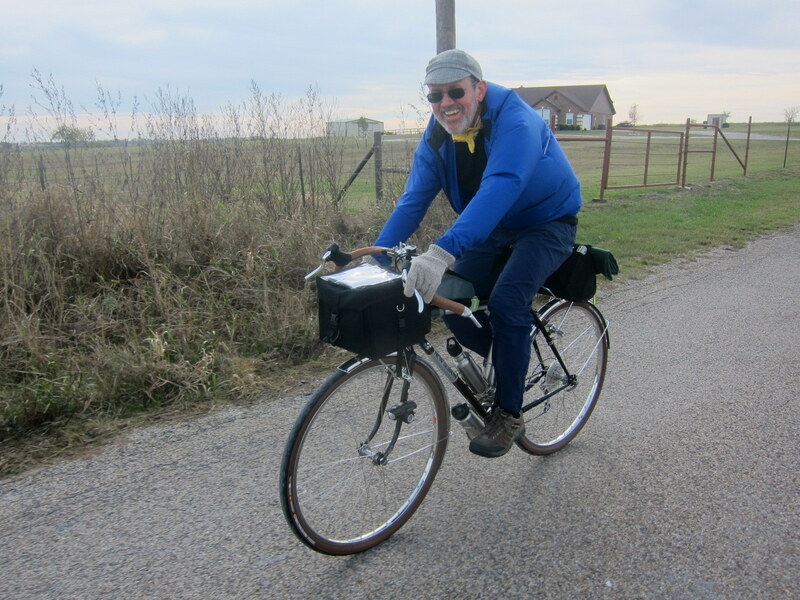 In my case as a relatively small, light, and unpowerful pedaler, it makes for a more “lively” feel. It also has low trail frame geometry which means it is intended to handle front loads better. 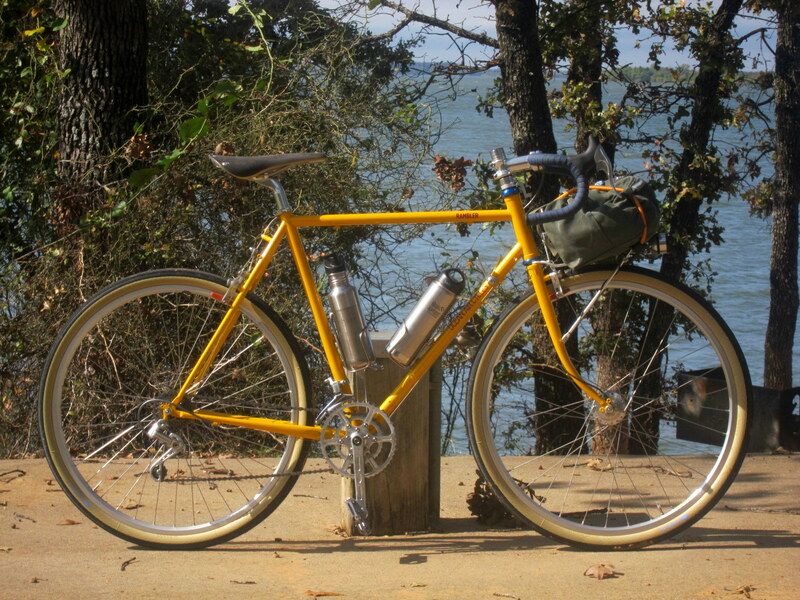 My Rivendell framesets have all been lugged construction, but the Rambler (except the fork crown) is tig welded. 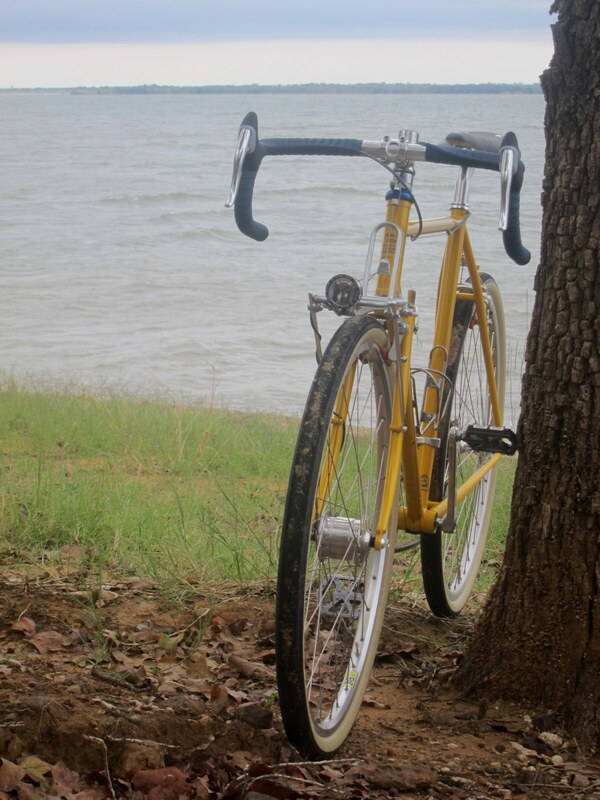 Finally, this frameset includes a larger diameter head tube and non-threaded fork. So no quill stems like I’m used to on my Rivendells. The last major difference is that Paul Components centerpull brakes are included with the frameset. 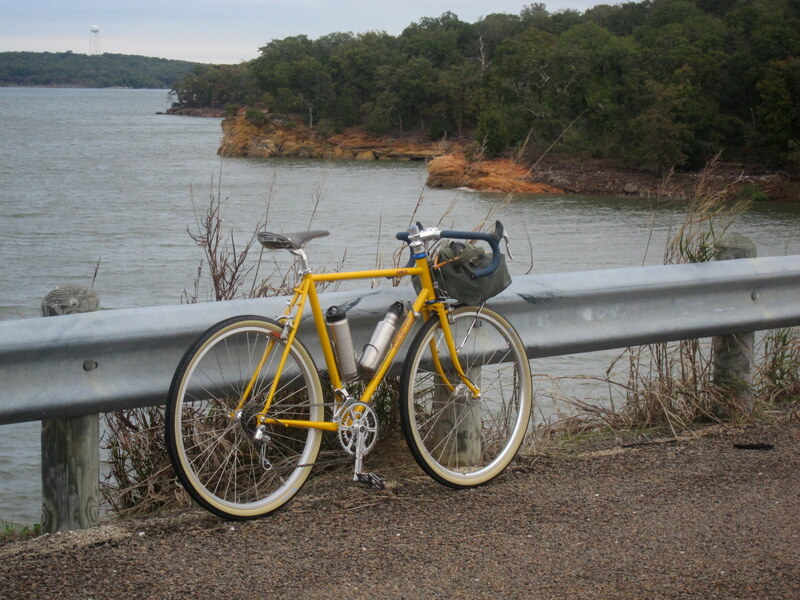 Oh wait, one more thing, the Sunflower Yellow is brighter than my other bikes. 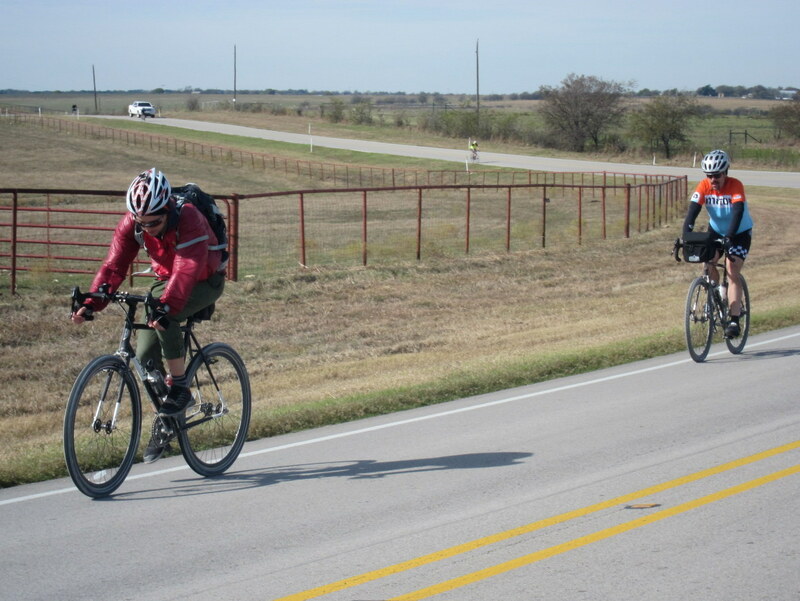 So even before we discuss how I’ve built up the bike, there are several significant differences. The build approach makes an even stronger contrast with my Rivs. 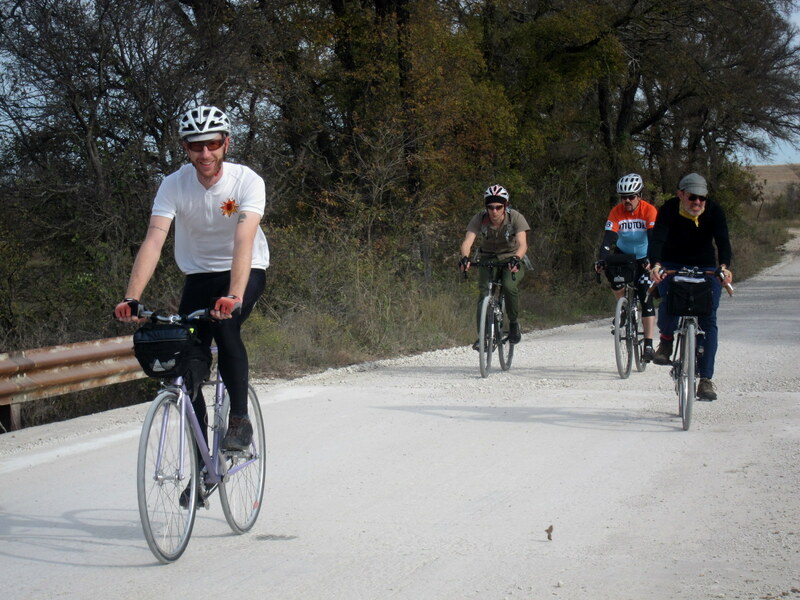 What is in common with my Rivs are the plump Compass tires, drop bars, downtube shifters, and platform pedals. The differences are the narrow Q factor wide range double crankset, my drop bars are narrower and lower, and my saddle is not a leather Brooks. For this build I wanted to try out the newer Brooks non-leather saddle. So the heart of the bicycle (frameset) significantly different, and the build-up includes several significantly different characteristics as compared to my Rivs. Would I be pleased? 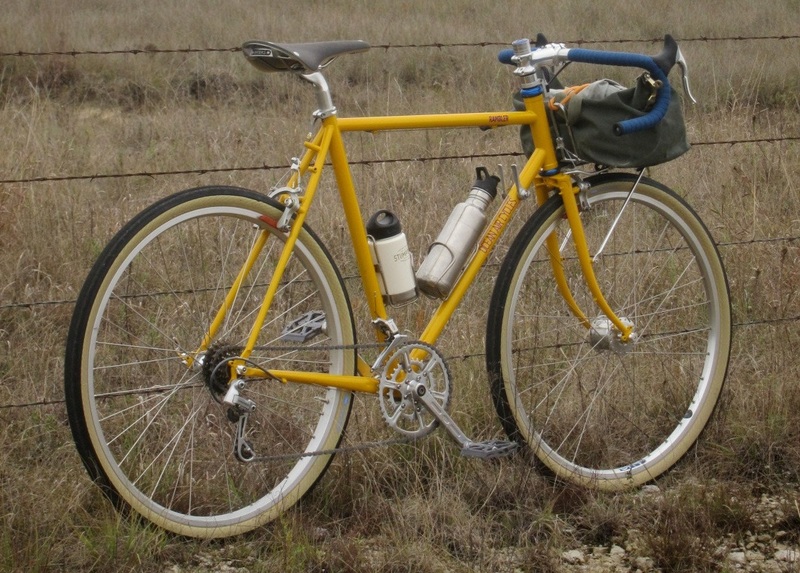 The Rambler frameset is attractive to me and appears to be well made. I like the look of lugs, but I believe that a good TIG welded frame is as strong and light (perhaps stronger and lighter) as a lugged frame. I own lugged frames because I like the decorative way they look. But one side of me admires the sparse, functional aesthetic as much as the decorative look. The welds are small and tidy. When I installed the wheels, they sat square in the dropouts. 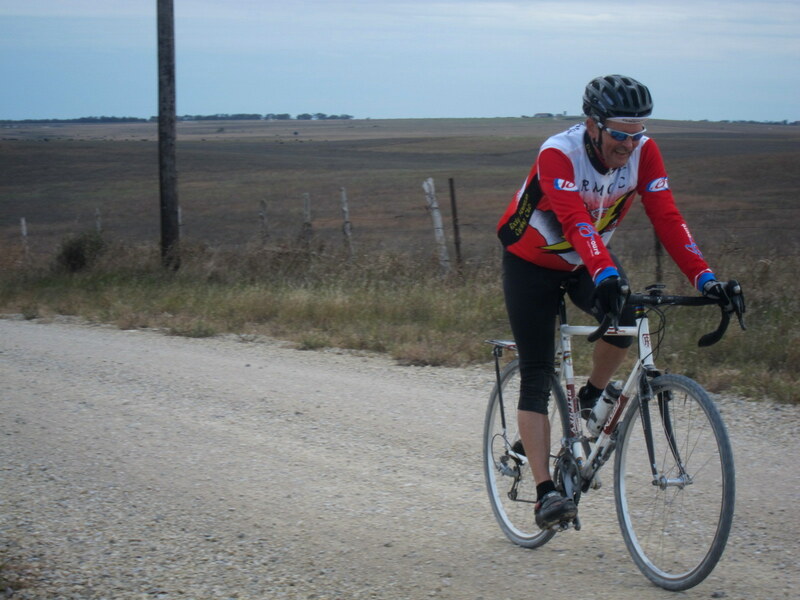 When I rode the bike for the first time no-handed, it tracked straight and without any compensating lean required. It was easy to build up, and I know that Rob spends some time preparing his frames to make this a joy for his customers. 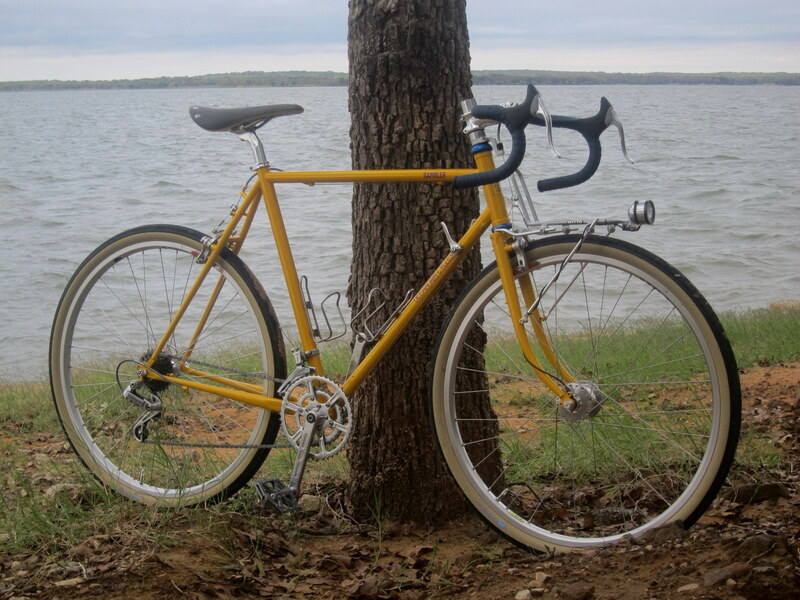 Photos of this frameset online caught my attention, but it looks much better in person where you can see the subtle sparkle of metalflake in the paint. The combination of design, engineering, and craftsmanship on this frame appeals to my soul. 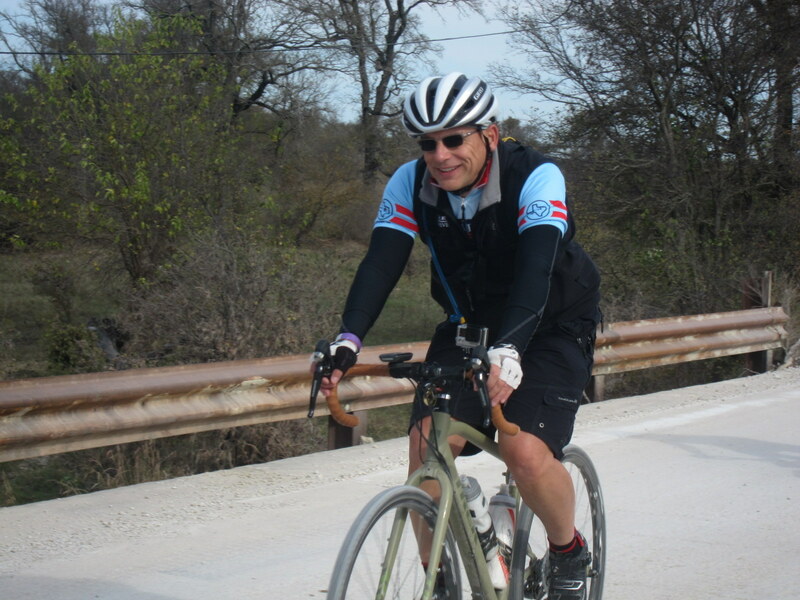 The way I built it up with narrow cranks and bars, gives it a leaner, sportier look that I am enjoying. Even so, the frameset has similar relaxed angles and long-enough chainstays to give the same visually pleasing proportions I have always admired in my Rivs. How my bikes look is a big part of the fun for me. I am pleased with how the Rambler looks. But what about how it feels? If you are a Bicycle Quarterly subscriber, you can already predict how I might describe the differences in how the bike handles and performs. 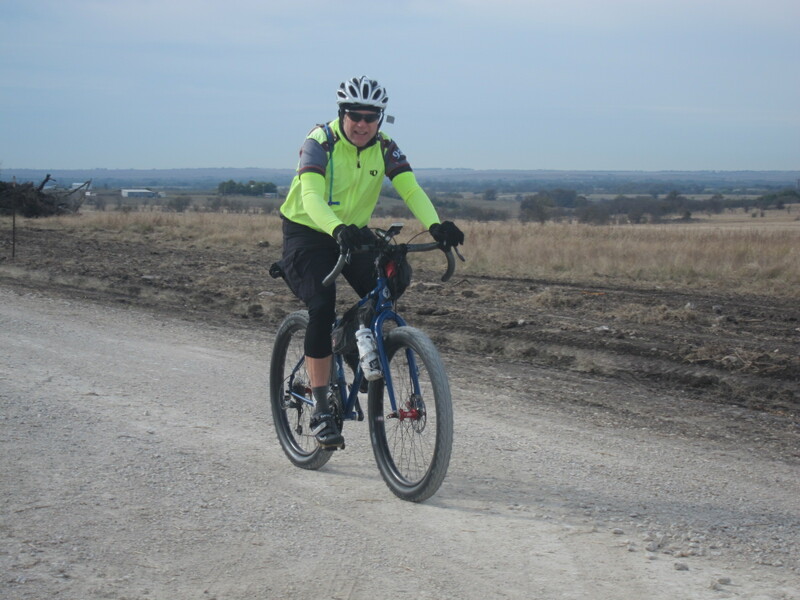 As I rode the bike, so many of Jan’s words were recalled to my mind through the sensations experienced in the ride. The narrower Q factor cranks feel like they induce a higher cadence and more efficient pedaling. I’m not sure they are any more “comfortable” to me, but not sufficiently different on a comfort scale to put into words. The lower, narrower bars are quite noticeable, with certainly less air resistance, and not as comfortable as sitting up, but certainly not bad for (at least) short rides. 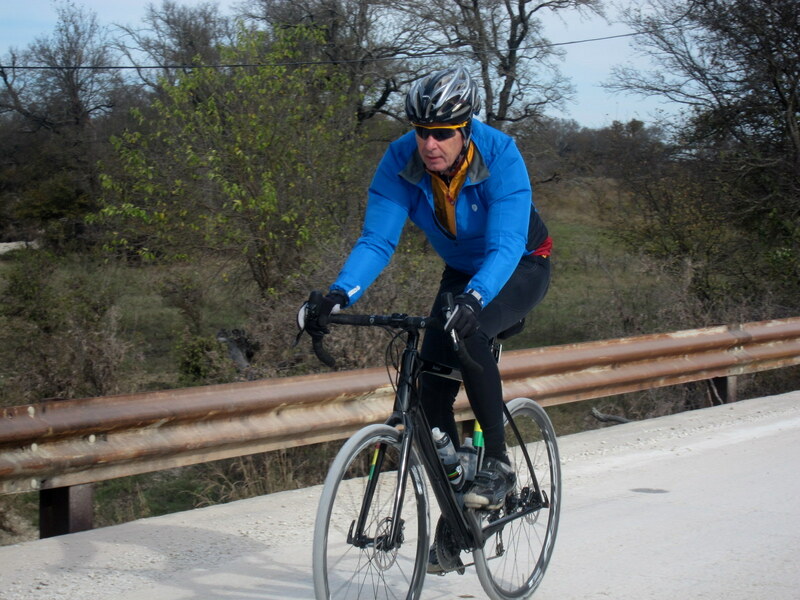 The bike encourages a little more speed (pedal pressure) so weight on my hands hasn’t been a problem. The ability of my 55 year old back and neck to handle bars this low is yet to be determined. I haven’t been out on any really long rides yet. I’m hopeful, but uncertain about my current bar orientation, yet there are two reasons why I want to extend this experiment out for awhile. First, I’ve set the bars a little closer and reaching the drops is a little easier than in the past, and second, I’ve lost some belly fat lately so I can actually ride in the drops and BREATHE. I don’t ride any major ups and downs, so brakes are not a defining issue for me. The Paul Component centerpull brakes look cool, and they work fine, but so do my other brakes. I’m just not that sensitive to brake performance. Handling with the front load design is something I anticipated. I had a Kogswell P/R for several years, and I’m familiar with low trail front geometry. 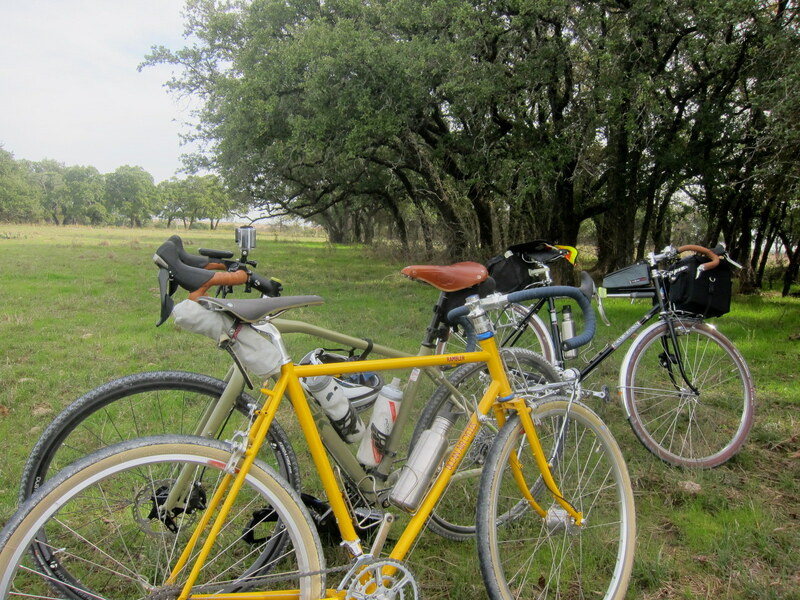 One of the motivations for pursuing a bike like the Rambler is that I missed having a bike set-up this way. The Rambler has handled my front load quite well, without shimmy (so far). Well, I actually was able to sort of induce shimmy at one point by riding downhill at moderate speed with no hands and using my body to vigorously (violently!) shake the front end. But I put a knee to the top tube and it settled down immediately, and didn’t come back until I shook the front end vigorously and induced it back again. Without abusing the stable frame, I have had no other shimmy, and I was able to carry a hefty (for me) front load and carve S turns no-handed down an incline with ease. The other things Jan describes with low trail front ends was also evident, such as easily changing lines in mid-curve, less side-wind sensitivity, and more low-speed stability. 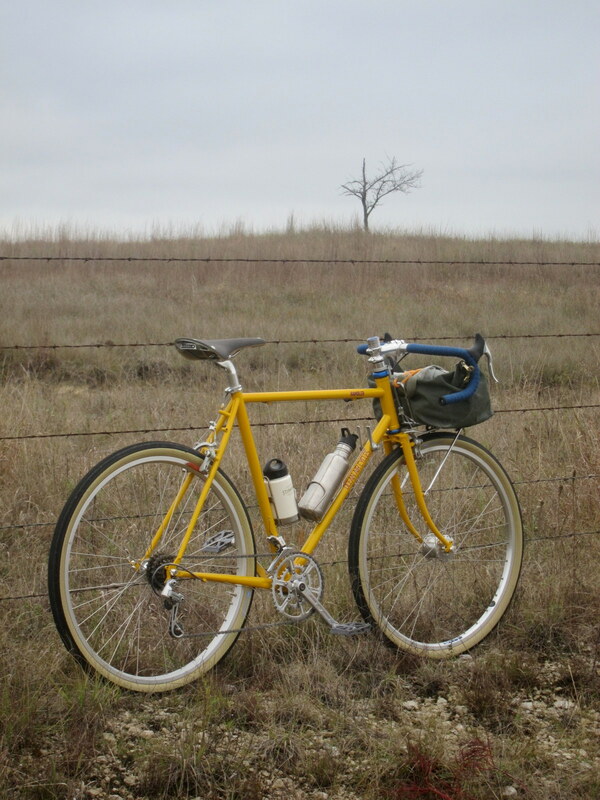 The two big revelations for me were the liveliness of the skinny tubes and the comfort of the Brooks Cambium saddle. This frame is quite zippy. I believe I can ride and climb faster with less leg fatigue as compared to my Rivs. That doesn’t mean I always want to ride and climb faster, but I can if I want. To use the BQ terminology, this bike “planes” for me. To use my terminology, it feels lively and FUN. My Rivs are similar to a large, comfortable cruising sedan, and my Rambler is like a (insert your favorite small, manual five-speed, convertible here). 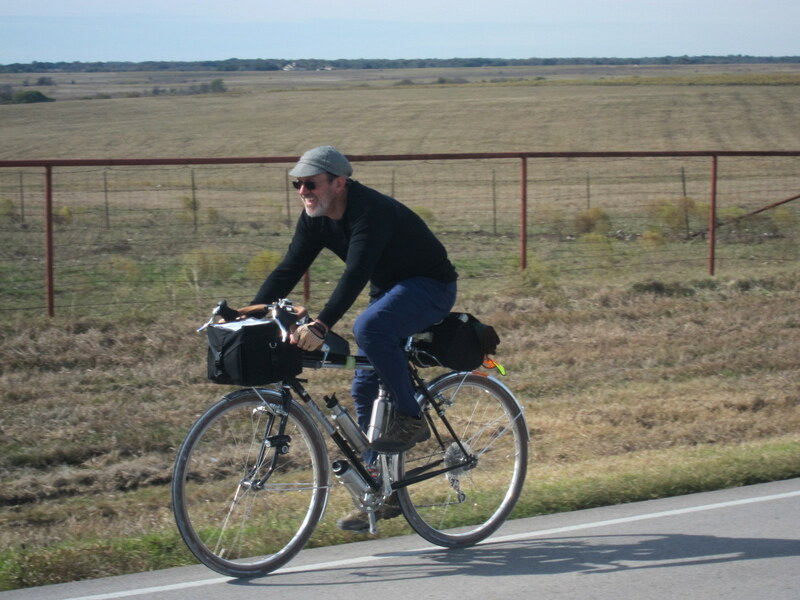 The Brooks Cambium saddle is really comfortable for me. My guess is that the width is right and the smoother top-to-side transition curve works better with my body than the B17 with its more angular transition that I’ve been happy with. It’s weird, I didn’t think there was anything wrong with my leather saddles, but somehow the Cambium disappeared even more. Surprising and delightful. In summary, mission accomplished. I wanted to sacrifice my Atlantis, that was a little too large for me and a little sturdier than I needed, to add something more zippy. I wanted a bike that would allow me to extend my range for day rides, coffee brew-ups, and credit card tours. 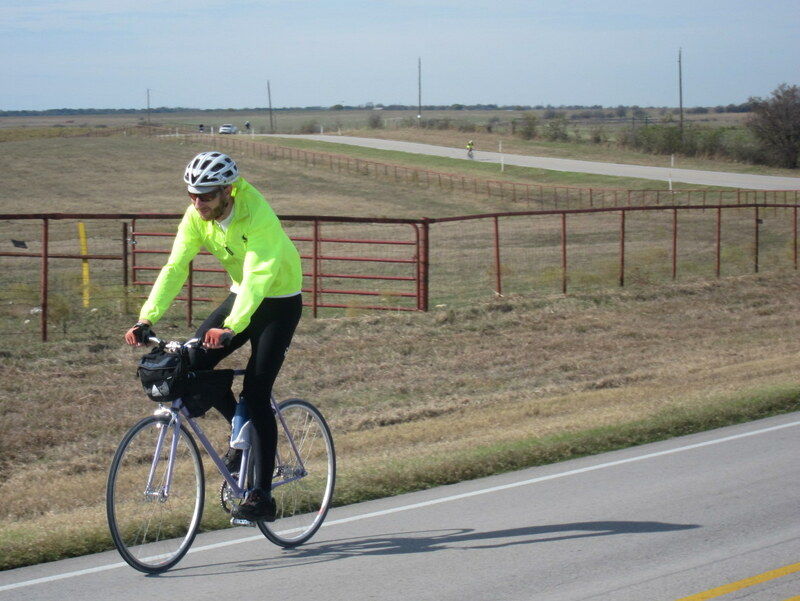 I wanted a bike to allow me to turn on a little speed if I happen to be feeling good that day. 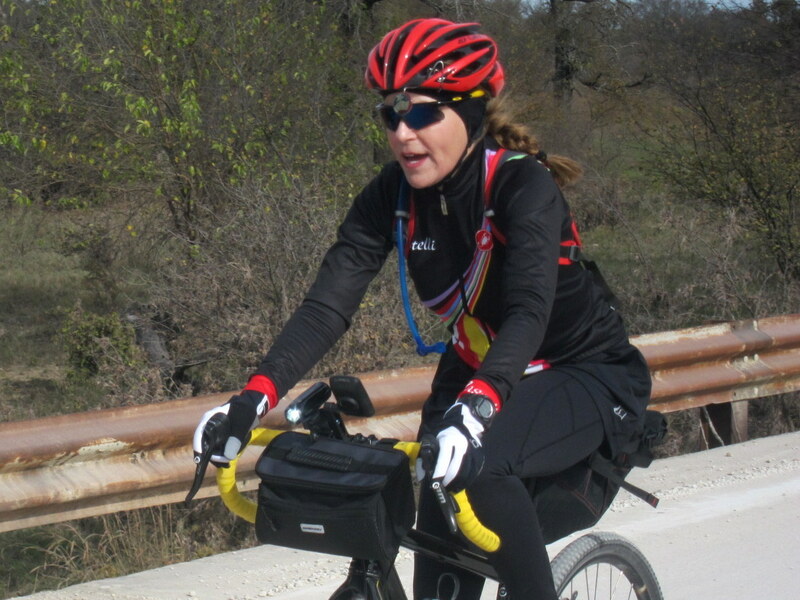 I wanted a bike to compliment my pretty, comfortable bikes with functional aesthetics and more sporting performance. The Ocean Air Cycles Rambler has definitely delivered everything I’d hoped it would. I might refine the build some over time, but I’m confident this bike has a place in my stable. Could this be my only bike? That’s a tough question, but I can tell you this. It would most definitely be on the short list. A Rambler for the Ramble? A lot can change between now and then. But, as of today, the 10-day forecast for the Seventh Annual Fall Finale Fifty-ish Mile Country Path Ramble is…PERFECT. 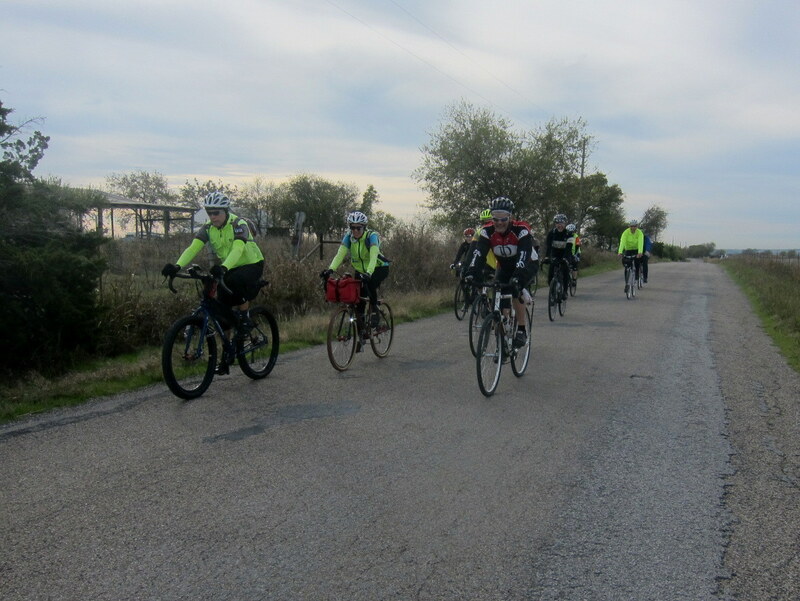 This year’s route will be the same as last year…EXCEPT I plan for us to travel in the opposite direction. 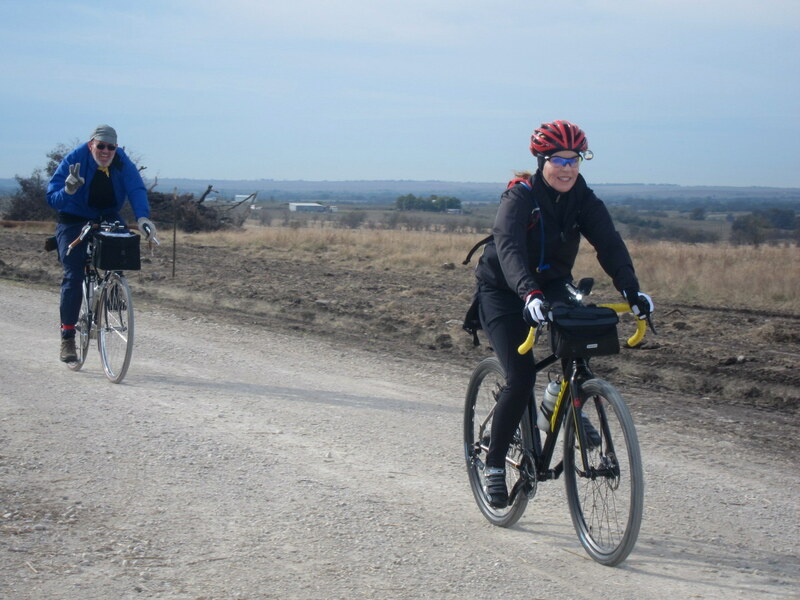 As last year, we’ll have the 50-mile and 35-mile loop options, but we’ll ride them “backwards” as compared to last year. As Ronnie Bryant brilliantly assessed, this approach allows for folks to arrive in Greenwood around lunchtime to take advantage of their fantastic burgers. If you are coming, but haven’t already let me know, please contact me. It would be a stretch to say I’m organized, but I at least think a little about logistics.